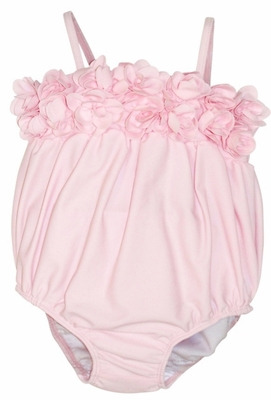 Super sweet baby pink swim bubble preciously adorned with flowerettes. This bubble suit is precious for your sweetie this season! This Kate Mack baby swimsuit is now shipping.